People start businesses for different reasons. Some do it because they have been able to spot a gap in a market for a product or service that they’re both passionate about and able to provide, others because they have the drive and determination to start their own company and to make it successful, while other businesses are started because people just want to be their own bosses. 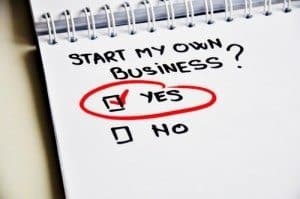 Even blogs and selling homemade items online can become startup businesses, allowing people to make a living from what they enjoy doing. Whatever the reason behind the formation of the company might be, it can be incredibly complicated to actually get the doors open (whether they’re physical or online doors! There are all kinds of procedures and registrations that need to be completed with deadly accuracy, and then you have other considerations like your marketing methods, the location and even the company name which will need to be different to any others out there to avoid confusion and legal issues. There are plenty of people out there to help you though, you don’t need to go through it all on your own. 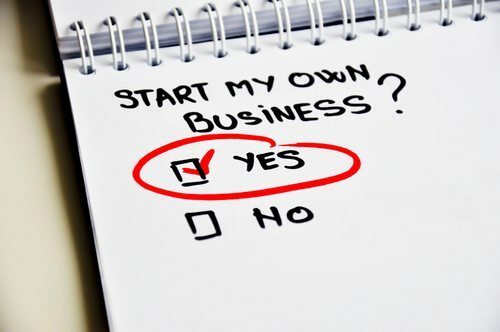 According to the Office of National Statistics (ONS), 92,000 people started their own company in the UK between September and November 2013 alone, showing that it is possible to get a firm going provided that you have the support in place and seek advice of course. While the independence of working for yourself might be one of the major pull factors to forming your own company, it’s definitely worthwhile taking the time to consult those who have been there and done it. Plus, there are tons of guides on the web that will provide you with guidance and pointers in the right direction, especially on the financial side of things. One of the best pieces of advice I’ve found comes from the Founder and CEO of online property company eMoov, Russell Quirk. He gave his views on how to get a successful company started and said that “First and foremost one of the keys to a successful startup is to manage cash flow meticulously. If the financial side of things isn’t your strong point, then it is definitely worth employing the services of an accountant to handle everything for you. 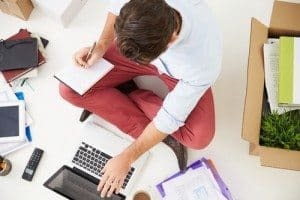 There are a range of firms out there, which specialise in different types of business, so if your company is brand new, it’s worth looking for startup accountants in Manchester or your nearest town or city to find one that specialises in either your industry or SMEs so that you can get the personal touch. They would also be able to provide you with all-important tax advice because that might also be something you’ve never had to deal with before. Many choose to go self-employed before they actually make their company public and even this will require you to follow certain regulations regarding tax and income. For instance you would have to contact HMRC and declare that your earnings in terms of either business income or any salary that you pay yourself, is through professional activities so that you are making the right National Insurance contributions. Don’t worry immediately, however, as you have three months from the date of setting out on your own to get your registration as self-employed to the Government. Of course there is one particularly important aspect of tax and National Insurance that you simply have to understand and do. The tax year is different to the calendar year and runs from 1st April until 31st March each year. By the end of January following your first year of trading you have to compile and send in your tax return, which can be found online, and that means you need to keep hold of everything from bank statements to invoices to help you to compile this correctly. If you fail to meet that deadline then you risk a fine which would be at the discretion of HMRC – although this year they have announced that some fines will be waived, but you shouldn’t bank on that happening! While all of this may sound daunting, it doesn’t have to be. It can also be an exciting time. Some people are simply destined to become their own bosses with the drive, determination and talent to make it a successful venture; but you need to seek the advice of experts and those with experience in starting their own company if you’re to fully understand what you’re getting into. There is no way of guaranteeing that your business will be successful and in the early days it can look like you may have made the wrong decision, but if you play the long game and persist with your plans – and communicate regularly with your accountant to have their input on your decisions both in the short and long term – then you certainly stand a chance of making it.